In Sweat Your Prayers, internationally acclaimed movement and theatre artist Gabrielle Roth translates to the printed page the insights of her nearly forty years of teaching personal and spiritual development. Her workshops, attended by thousands around the world, teach us to realize our potential for ecstasy as we experience movement and ritual-theatre techniques. The book is a journey through five universal rhythmsùflowing, staccato, chaos, lyrical, and stillness. 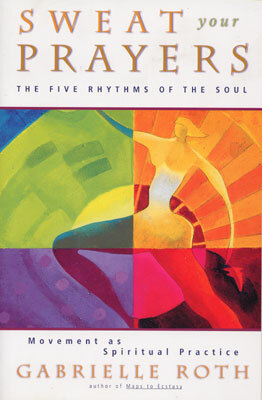 These rhythms can free the body and spirit from ordinary consciousness and catalyze motion deep in the psyche. Complete with personal stories and interactive exercises, Sweat Your Prayers reveals an ancient and contemporary method for unleashing a natural sense of movement, resulting in both personal power and presence of the soul.